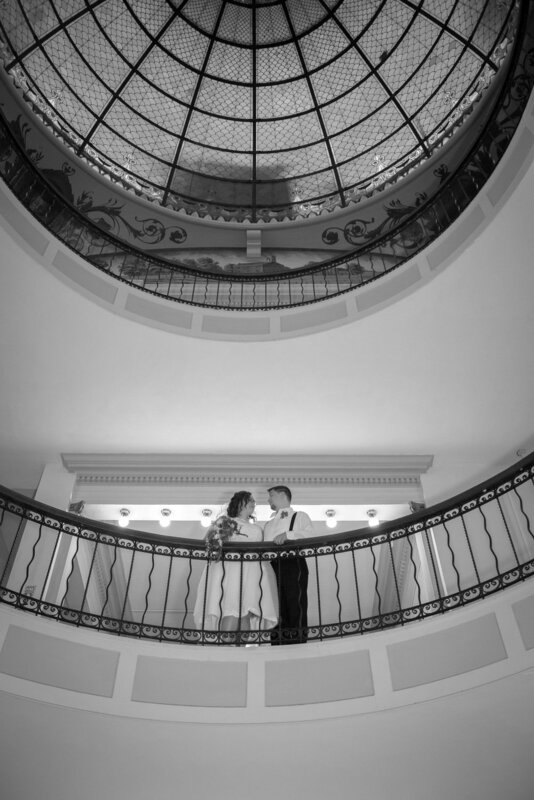 Chase and Amber first approached me wanting me to photograph two weddings for them. One on July 28, 2017 and one on July 28, 2018. This intrigued me. I've never been asked to do two weddings for one couple. As we met and I began to learn more about the couple, I learned that the love this couple has is truly special. The couple originally met in high school. They had lockers next to each other and he was actually dating a friend of hers at the time. A few years after high school they got back in touch via Facebook and in September 2010 decided to just hang out because they both wanted a friend, and their love only grew from there. 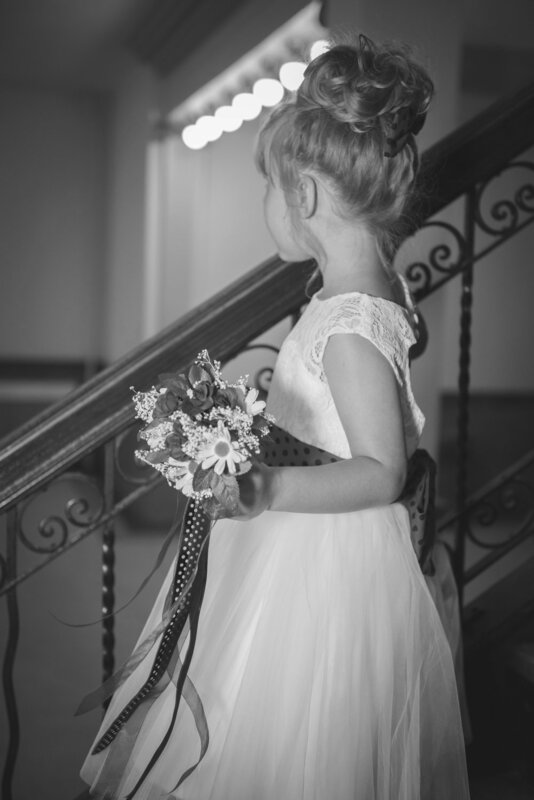 In July of 2012 they welcomed a sweet little girl into the world named Gabby. And then, Chase proposed to Amber on her birthday in 2015. 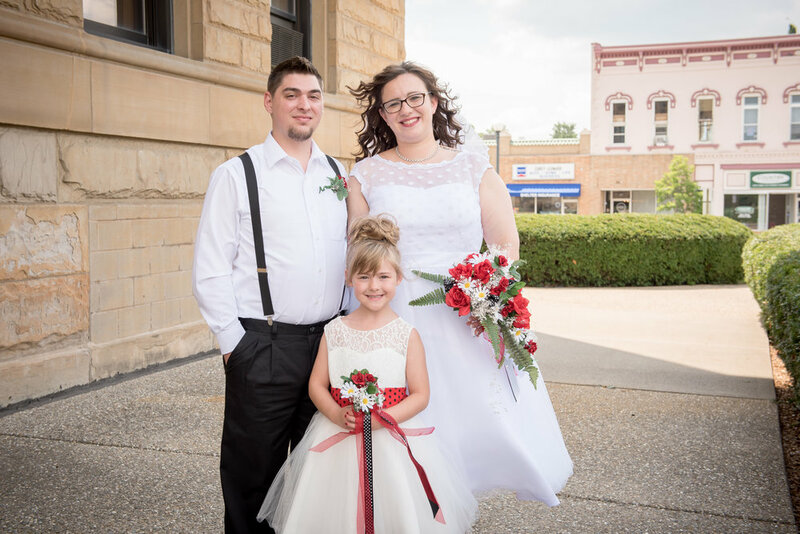 Chase and Amber wanted to be able to celebrate such a momentous moment in their lives with everyone close to them so they decided to go ahead and get married this year AND continue with a full wedding and reception next year. 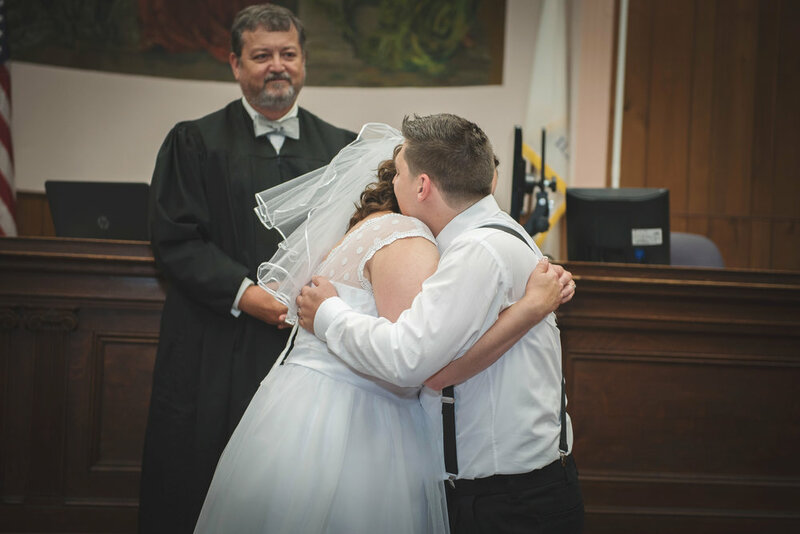 But this courthouse wedding was anything but ordinary. It was intimate, unique, emotional, and they were surrounded by the ones they love. 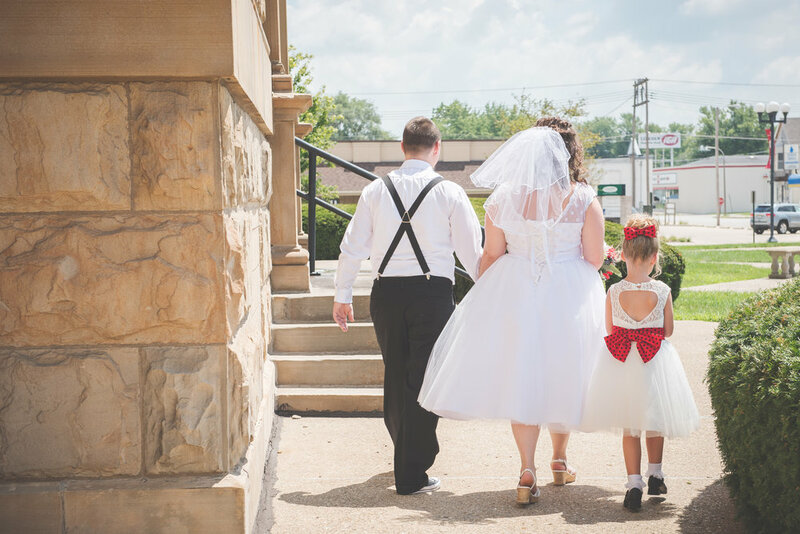 It was truly an honor to photograph such a special day for this couple. 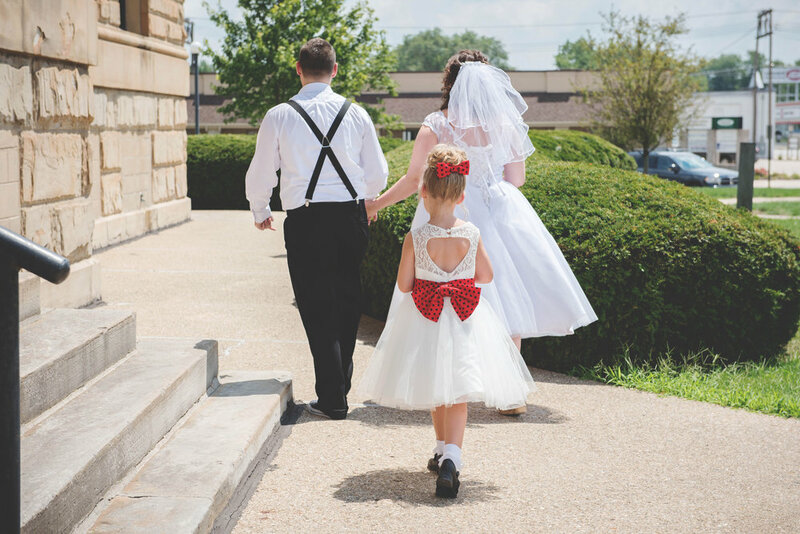 We did their first look just outside the courthouse. Then we went inside and watched the bride and groom exchange vows. 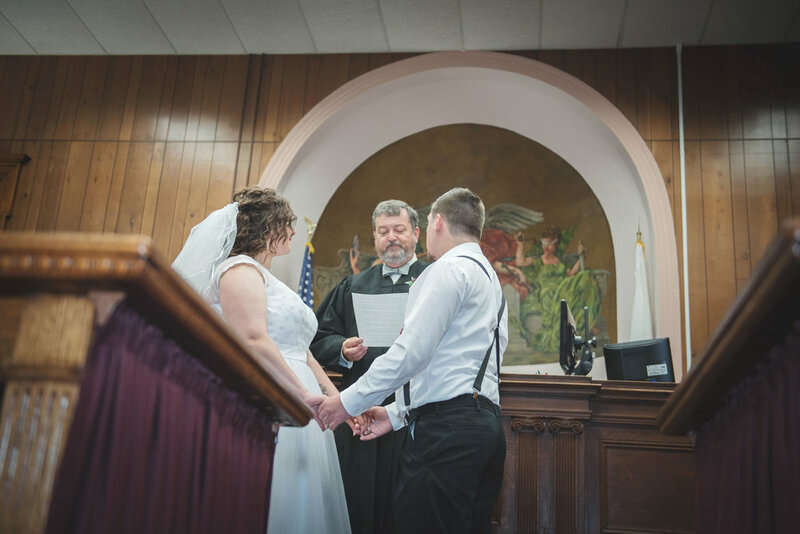 This was particularly emotional and amazing because Chase is deaf, and when the courthouse officiant asked Chase and Amber to repeat their vows back to each other and they did it in sign language. The tears came flowing down. 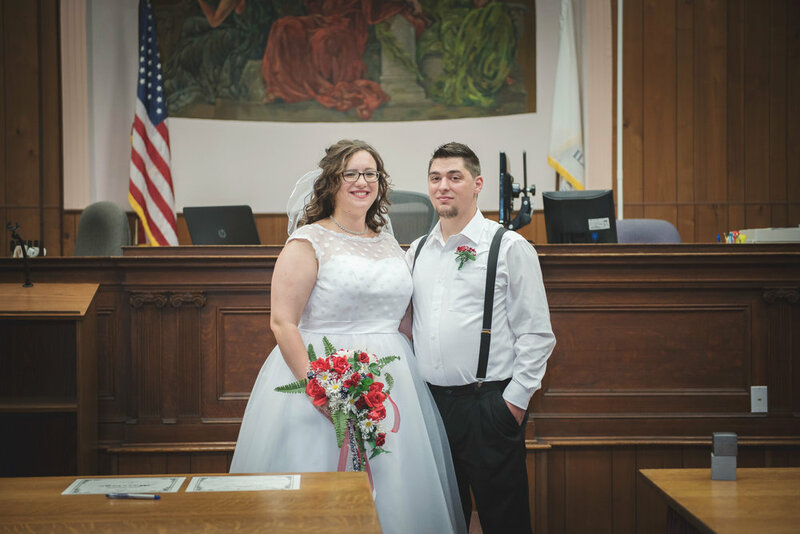 The ceremony was attended by close friends and family and was the largest courthouse wedding I have ever seen. It is evident that this couple is well-loved. Like I said, this wedding was anything but ordinary. 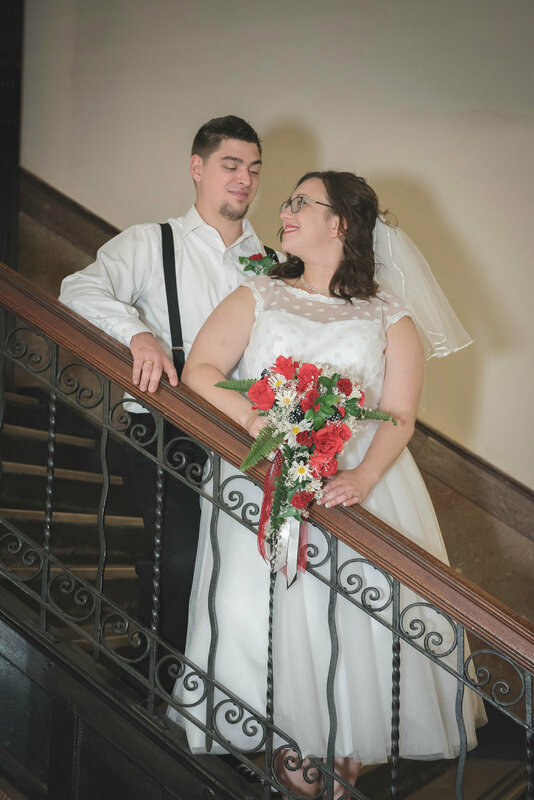 After the beautiful and tear-filled ceremony, we did some family pictures on the courthouse steps followed by some intimate photos of the bride and groom in the historic Logan County Courthouse. 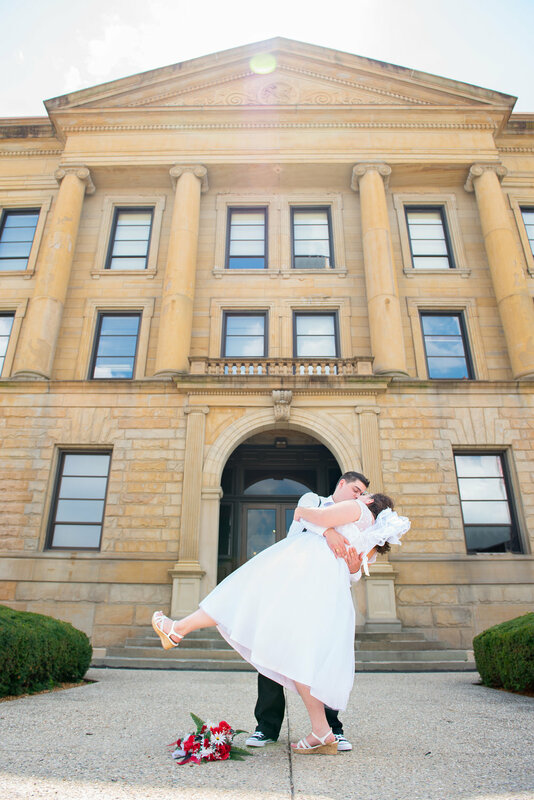 But the beauty of this courthouse pales in comparison to the beauty of this couple. They really are anything but ordinary. Newer PostHappy 6 months, June!